Having the same multidimensional structure as previous modules of the Hridaya Yoga Retreat, Module 4 includes teachings and practices for the harmonization of the body, psyche, and mind in order to deepen our yogic spiritual journey. The course supports an inner balance and consistency that brings a better understanding that what we are is not limited to any of these structures. Meditation on phosphenes as a way to open toward the spiritual light. 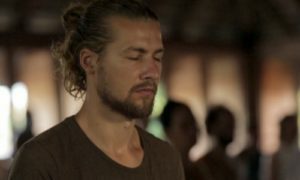 The deepening of the practice of the main yogic bandhas (a special class of hatha yoga techniques that involve intense awareness and the stoppage and redirection of the flow of subtle energy, prana). A practice that synergistically uses the three bandhas to awaken kundalini shakti. The “cooling pranayamas,” praised in the Hatha Yoga Pradipika as methods for obtaining perfect control over Shakti, the inner and outer energies. 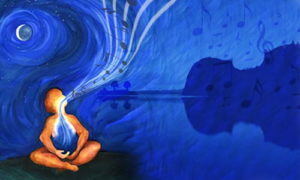 The healing role of vowel pranayama. Practical information about diet and fasting, including an invitation to directly experience a multi-day fast. As in the previous modules, a textbook that provides a wealth of additional information to support the understanding of each day’s teachings supplements the course program of Module 4. Module 4 consists of 10 days of instruction that span a month’s course cycle. Each day includes a 4-hour hatha yoga class that incorporates the presentation of a new hatha yoga technique, time for questions and answers, and personal guidance. Regular discussion groups round out the program. Daily hatha yoga practice sessions offered in Modules 1-3. Access to these classes is included for free with enrollment in Module 4. Additional events, including workshops, movie nights, devotional singing evenings, lectures, etc. Participation in Module 4 is limited to graduates of Module 3. Module 4 represents an unimpaired whole, designed to offer the best conditions for the dissolution of the ego and the expansion of the consciousness. Because of this, it may not be taken on a drop-in basis, but only by enrollment. Module 4 is offered a few times per year. View any upcoming dates below. If none are listed, the course is not currently scheduled. You may contact us for more information.